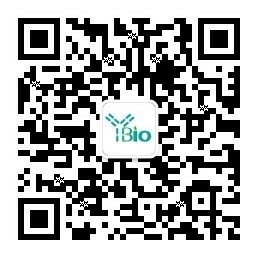 别 名 bHLHb27; Class B basic helix-loop-helix protein 27; DNA binding protein inhibitor ID 4; DNA binding protein inhibitor ID4; DNA-binding protein inhibitor ID-4; ID 4; Id4; ID4_HUMAN; IDB4; Inhibitor of DNA binding 4; Inhibitor of DNA binding 4 dominant negative helix loop helix protein. Members of the Id family of basic helix-loop-helix (bHLH) proteins include Id1 (1–3), Id2 (4), Id3 and Id4 (5). They are ubiquitously expressed and dimerize with members of the class A and B HLH proteins (1–5). Due to the absence of the basic region, the resulting heterodimers cannot bind DNA. The Id-type proteins thus appear to negatively regulate DNA binding of bHLH proteins. Since Id1 inhibits DNA binding of E12 and Myo D, it apparently functions to inhibit muscle-specific gene expression. Under conditions that facilitate muscle cell differentiation, the Id protein levels fall, allowing E12 and/or E47 to form heterodimers with Myo D and myogenin, which in turn activate myogenic differentiation. It has been shown that expression of each of the Id proteins is strongly dependent on growth factor activation and that reduction of Id mRNA levels by antisense oligonucleotides leads to a delayed reentry of arrested cells into the cell cycle following growth factor stimulation. ID (inhibitor of DNA binding) HLH proteins lack a basic DNA-binding domain but are able to form heterodimers with other HLH proteins, thereby inhibiting DNA binding.